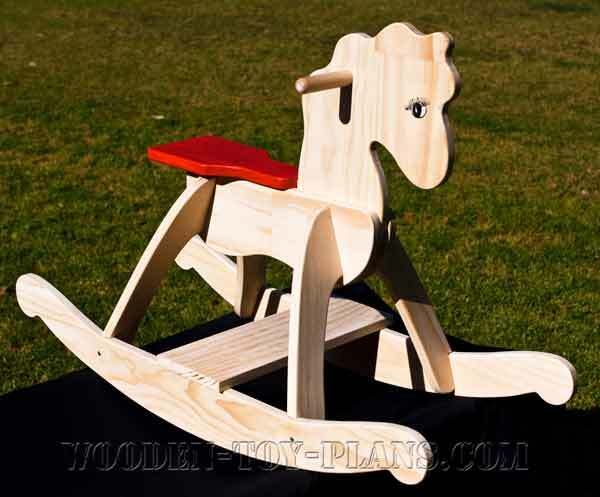 Download rocking horse plans for an easy to build woodworking project. These two rocking horse wooden toy plans have been designed to use project timber from your local hardware or home depot store. Also know as white wood, this timber is available in standard sizes and is ready to use. 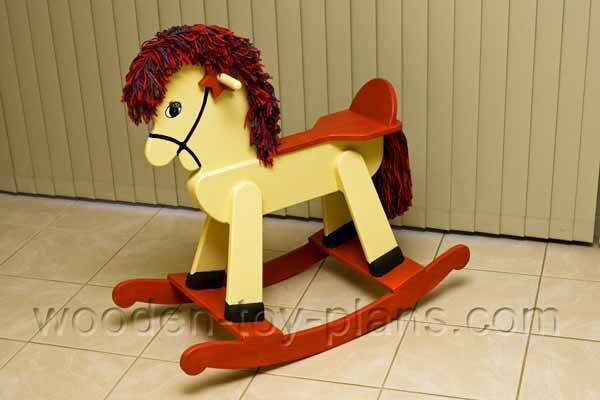 Download the free plan to build rocking horse Oscar and his little sister Rosie. Includes building guide with photographs. Most home workshops have all the tools needed to build this project. All you really need is something to drill holes and something to cut curves. Everyone has a power drill, but not everyone would have a band saw, in which case a jigsaw (no, not the jigsaw puzzle) would be fine. 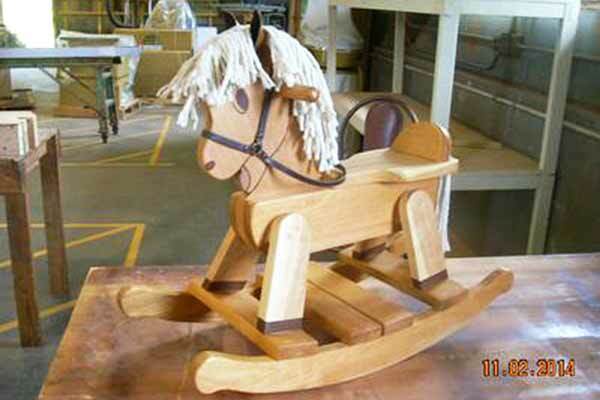 I know of at least two people who have used a scroll saw to make rocking horses. These two rocking horses have been designed to use a single piece of project board available from all good hardware stores and home depots. To make Oscar, you will need a piece 3.0m long and 280mm wide, or two pieces, one 1400mm long and another piece 1600mm long. To make Rosie, you will need a piece only 1800mm long. All you need is a PDF reader to view and print pages from the PDF ePlan download. The free software can be downloaded from FoxIT or Adobe. 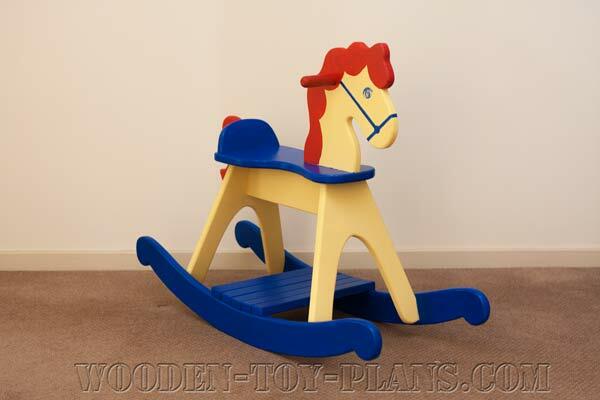 After you download these rocking horse plans, print them on your home printer. The full size head template for Oscar needs a printer capable of printing up to A2 size. Because Rosie is that much smaller, she only needs an A3 size printer. Visit your local office supply retail outlet, or there are numerous sites on the internet that offer poster and plan printing services. File size is about 3.5MB. Visit Jim Barry's Woodworkers Workshop for more free project plans. 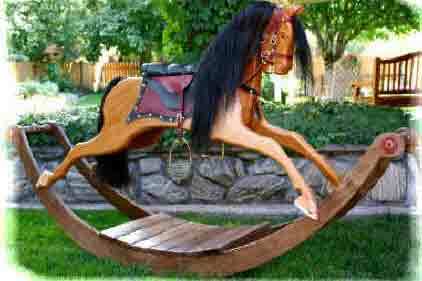 More rocking horse plans for sale from Jim Barry's Woodworkers Workshop.